The “Time clock” page should be the first page you see when you log in. If you do not see this page, you may have “Enable browser clocking” disabled in your general settings, or you may not be assigned the “employee” role. You should see two options when you sign in – “Start shift” and “start job”. 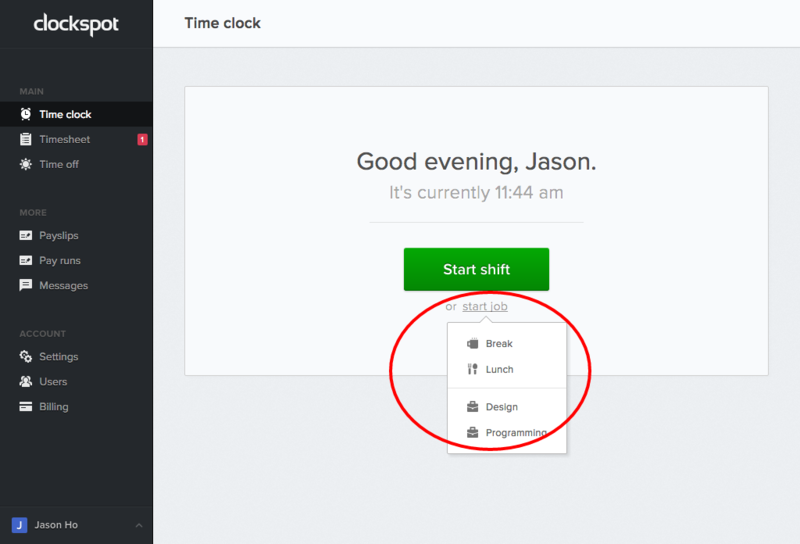 To clock in for the day, click “Start shift”. To directly clock into a specific job, click “start job”. This is the same thing as clicking “Start shift” then immediately clicking “Start job”. Employees also have the option to write a shift report, which is a way to document what they did during their shift. You can then see this report next to their clock time on the Timesheet page.